Helminth Infections of Humans: Mathematical Models, Population Dynamics and Control. 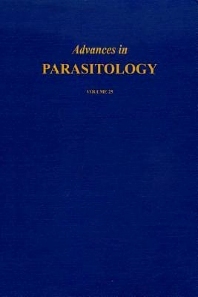 Anorexia: Occurrence, Pathophysiology and Possible Causes in Parasitic Infections. Argasid and Nuttalliellid Ticks as Parasites and Vectors. Trichostrongyloid Nematodes and Their Vertebrate Hosts: Reconstruction of the Phylogeny of a Parasitic Group. Nematodes as Biological Control Agents: Part I. Mermithidae. Each chapter includes references. Index.